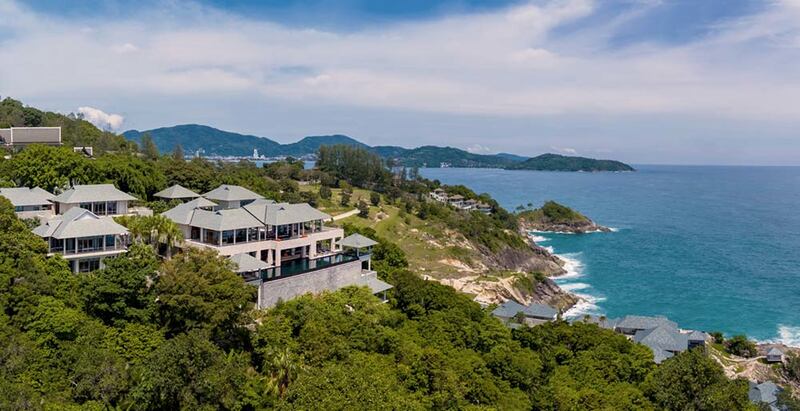 This superb nine-bedroom luxury villa estate overlooks the beautiful Andaman Sea between Kamala and Patong on Phuket’s west coast. At this unique private estate, guests will be spoilt for choice between breathtaking living and dining spaces both indoors and out. Expect a 25-metre pool with jacuzzi, gym, spa, media and games room among the superb facilities. Two of the nine bedrooms are housed in the spectacularly situated and self-contained ‘ocean villa’ just below the main property, located near the amazing open deck with surrounding by ocean views. At Baan Paa Talee Estate a team of dedicated staff, including a private chef, will cater to your every whim. This estate is the outstanding choice for groups of friends or family, corporate stays, welness retreats or special celebration events.